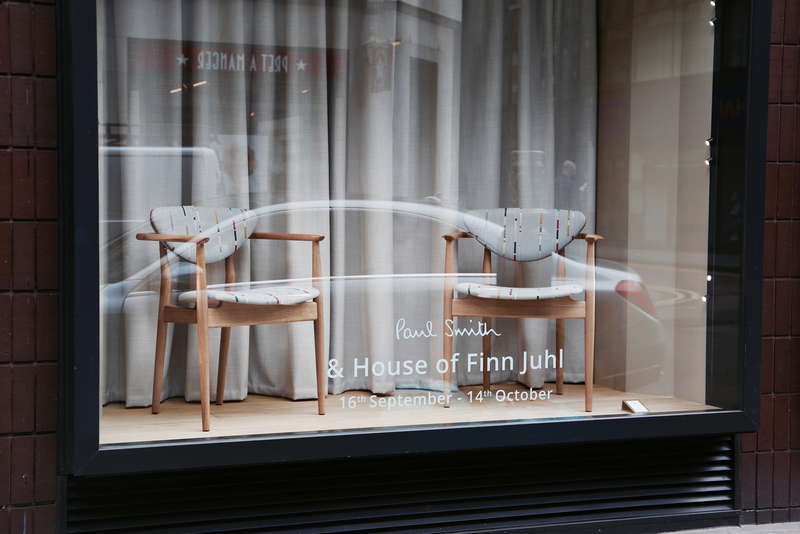 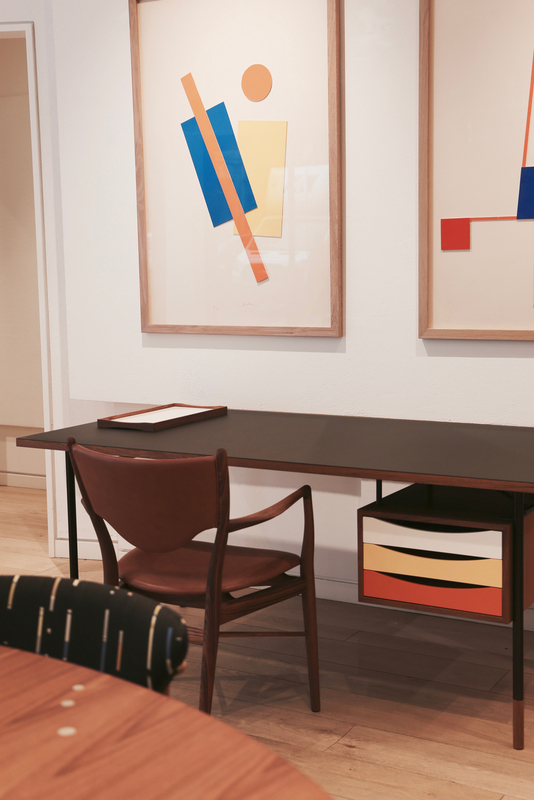 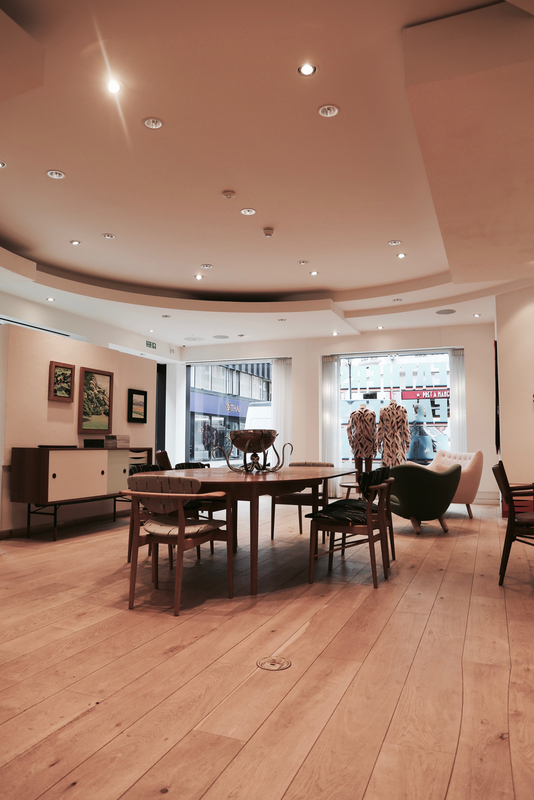 Finn Juhl has worked together with designer Paul Smith on an exhibition during London Design Festival and Frieze London, running from September 16th to October 14th. 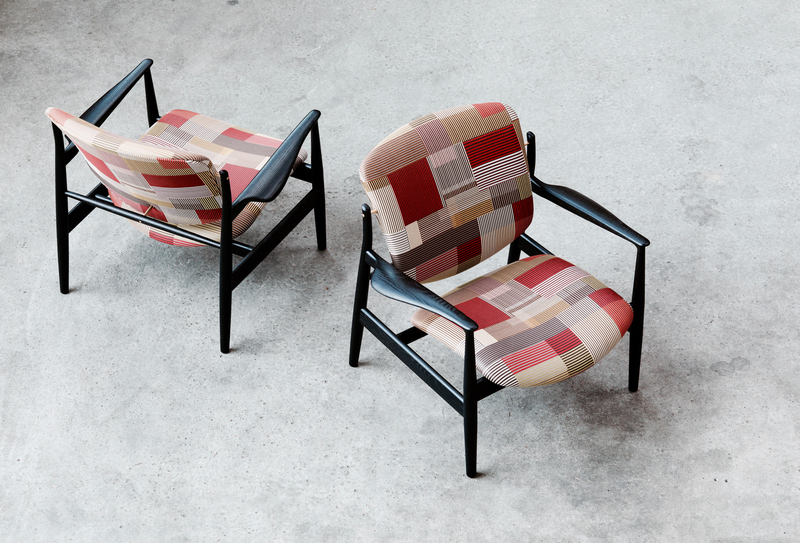 This collaboration brings together two designers who share similar values. 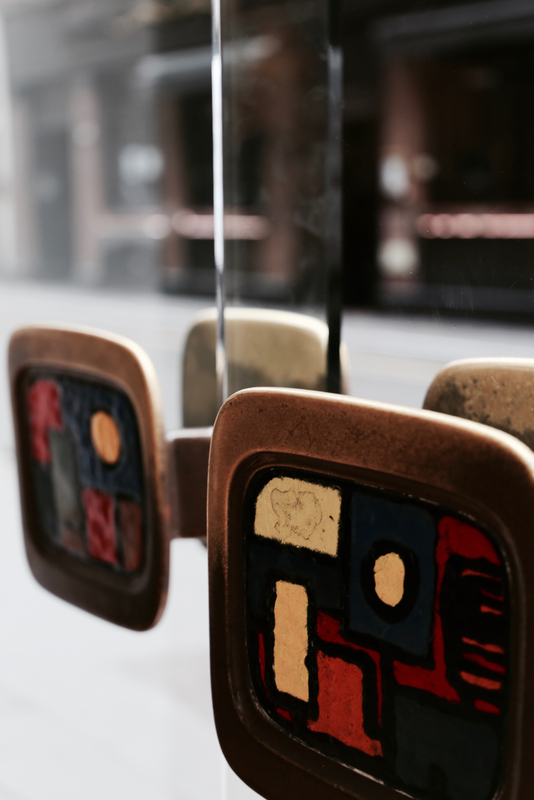 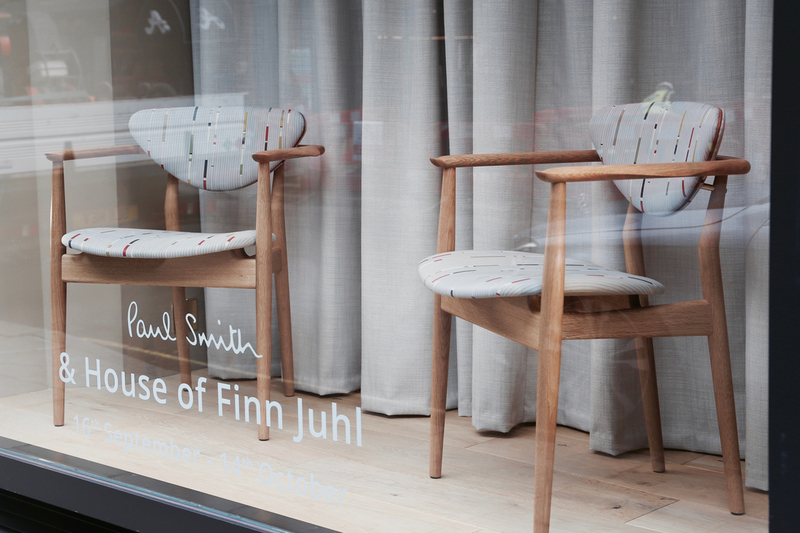 Finn Juhl’s work is often defined by its unique details, constant surprises and an underlying sense of joy – all of which could readily apply to the work of Paul Smith. 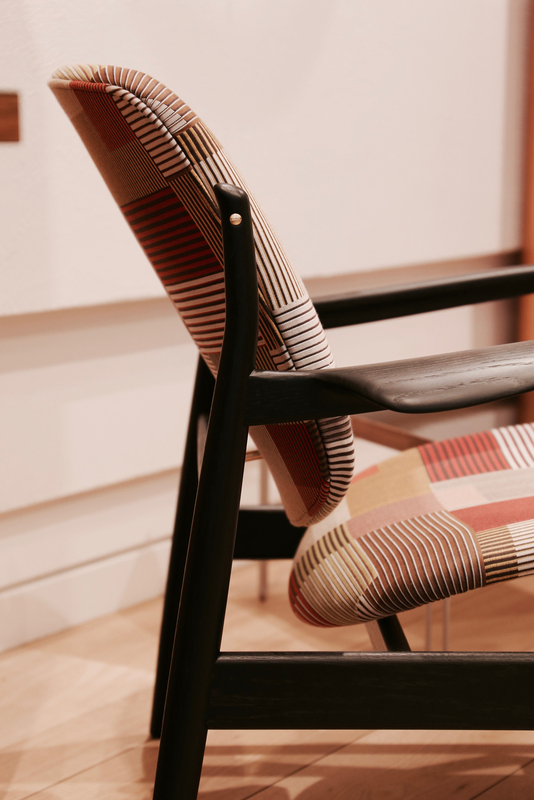 - Some countries are known for their food, others for their sporting prowess, Danes are known for their design abilities, says Paul Smith. 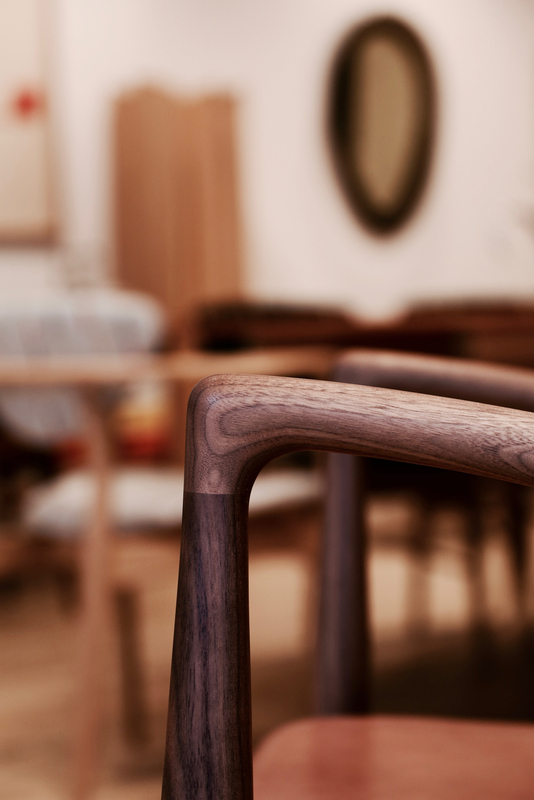 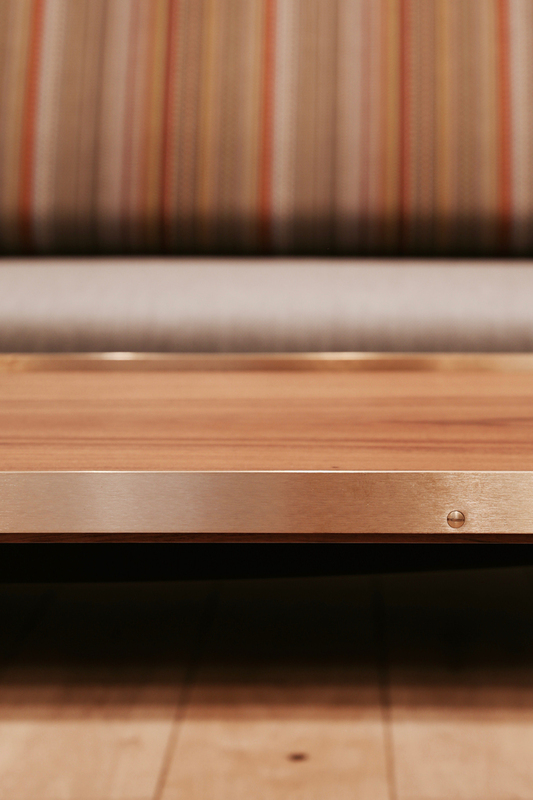 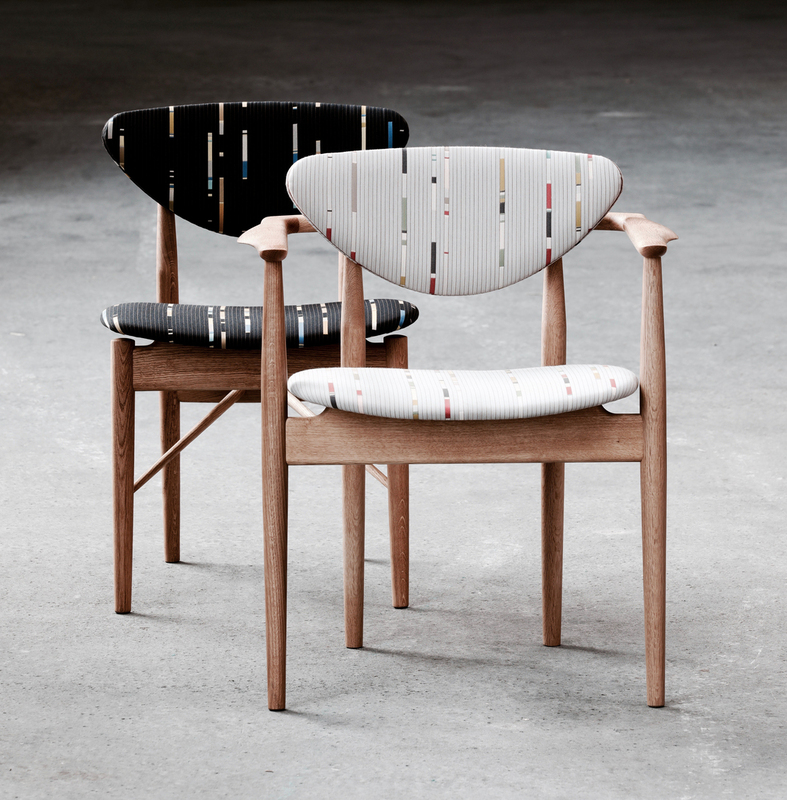 - It’s just in their blood and Finn Juhl is one of the best examples of this. 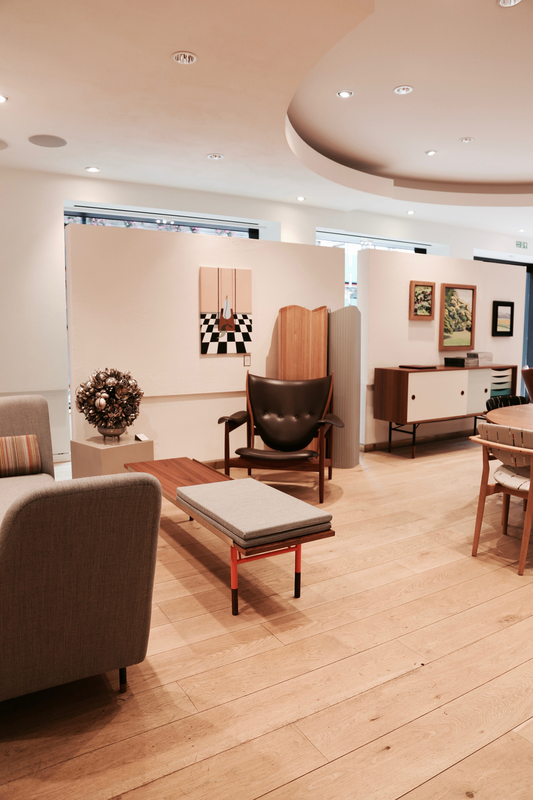 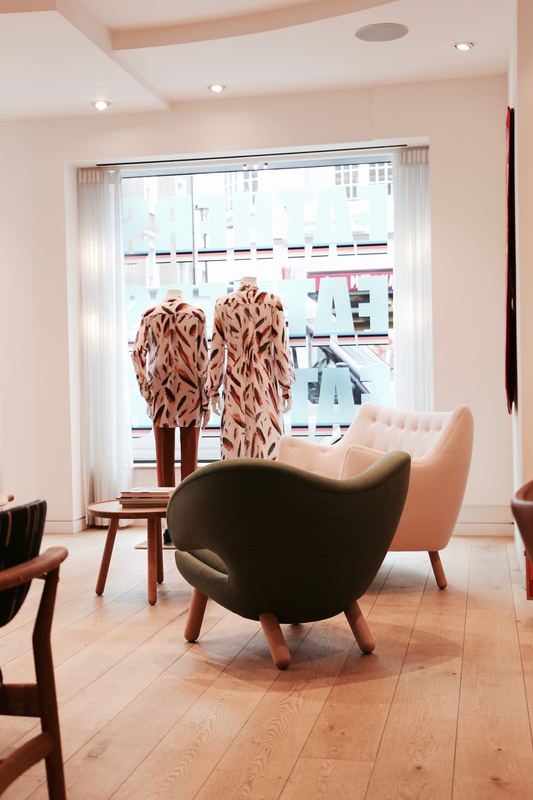 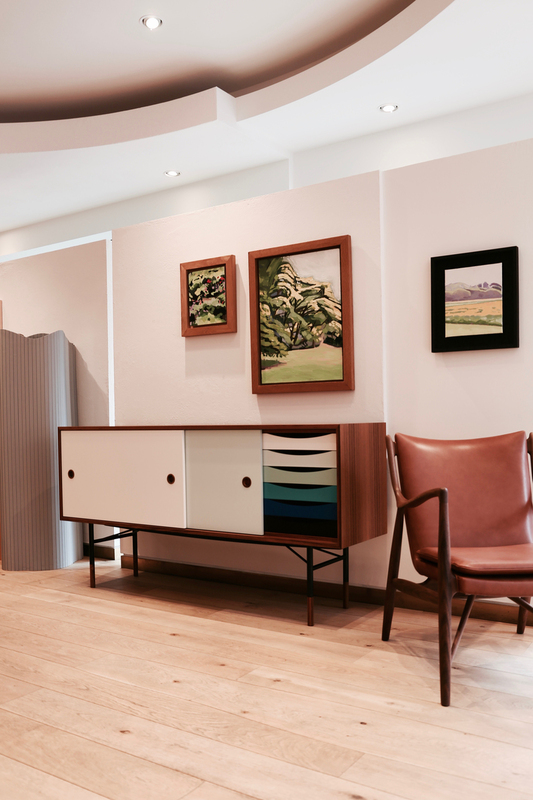 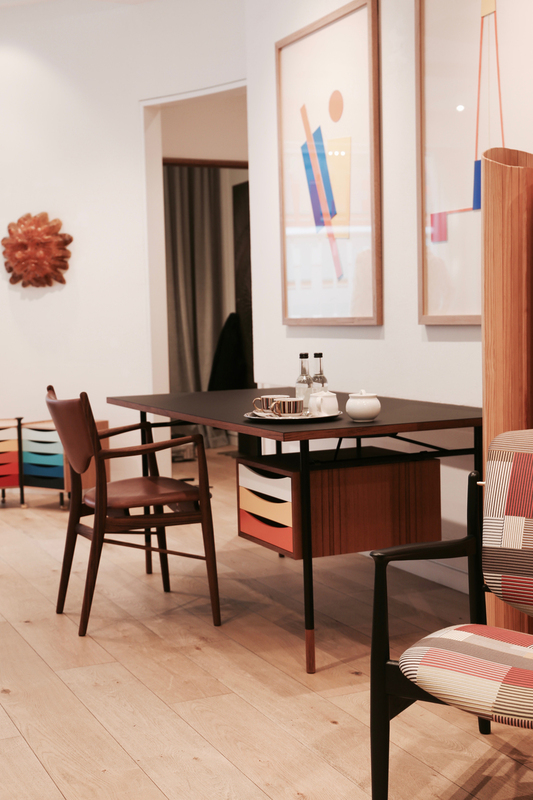 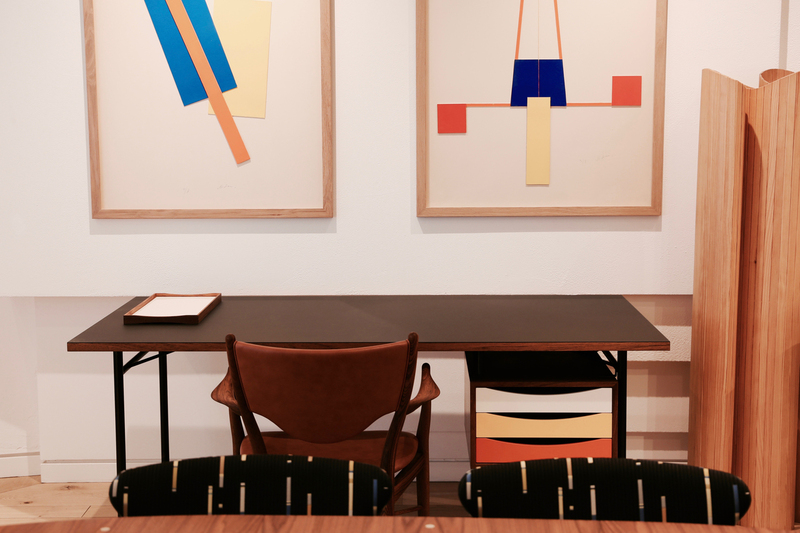 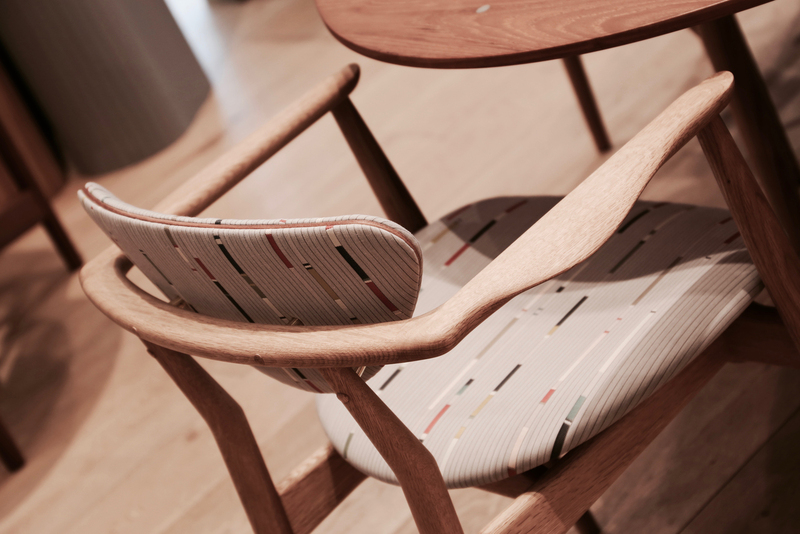 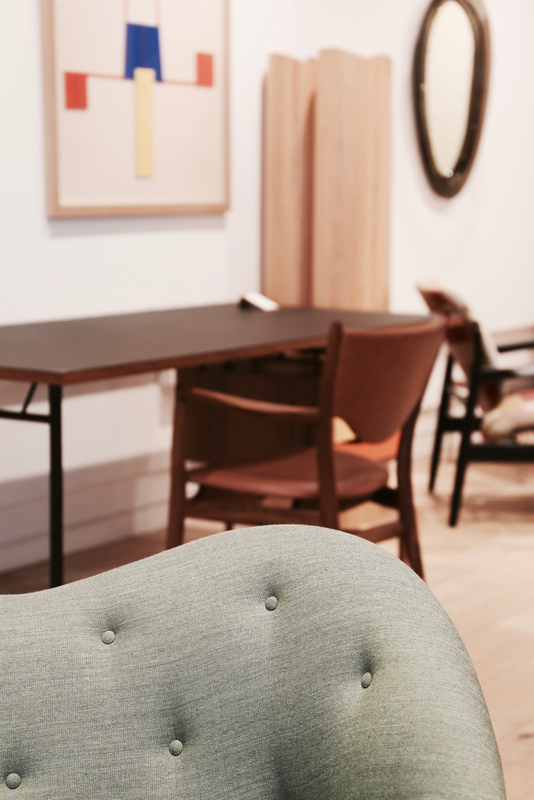 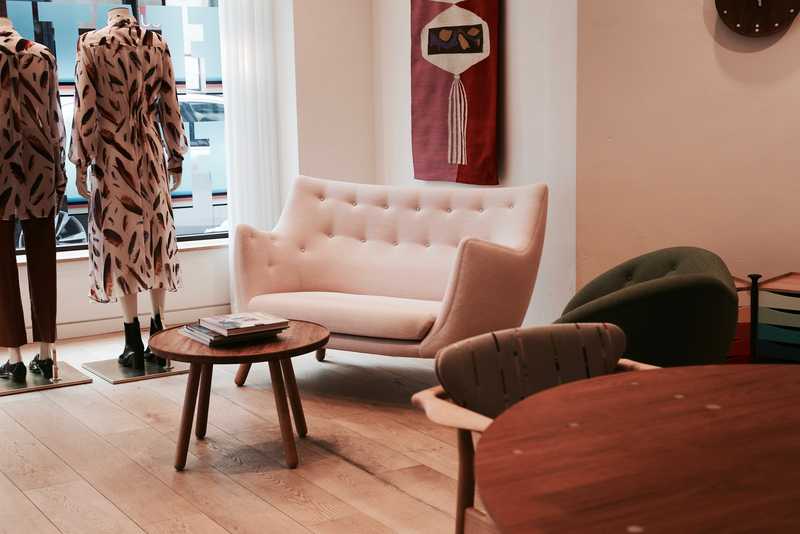 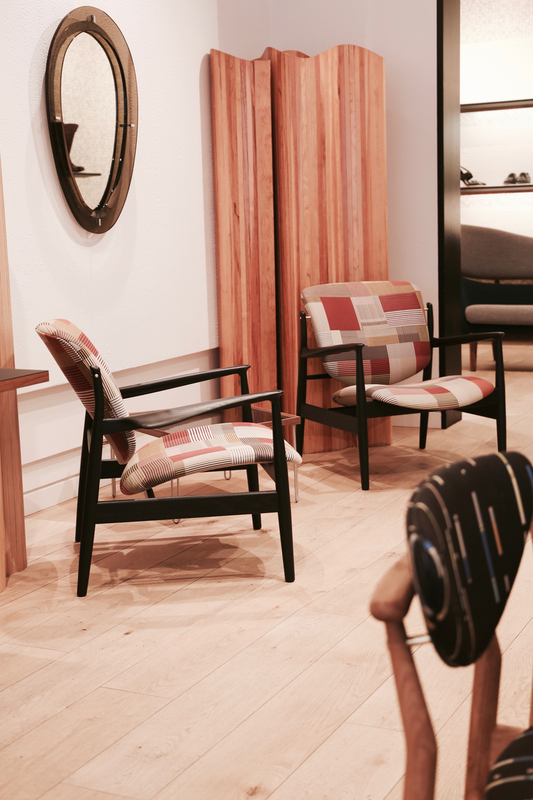 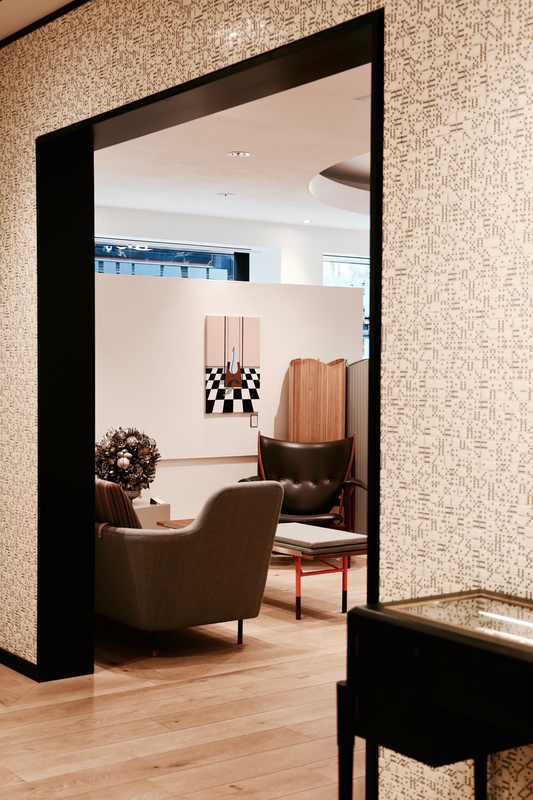 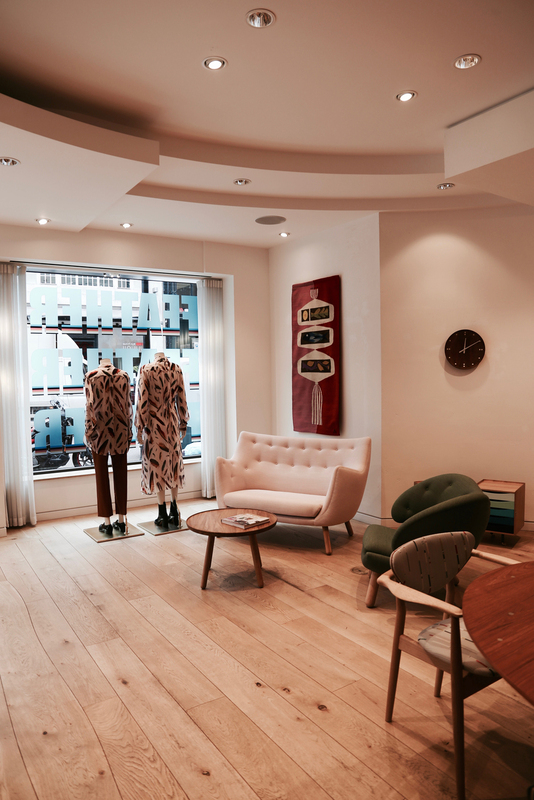 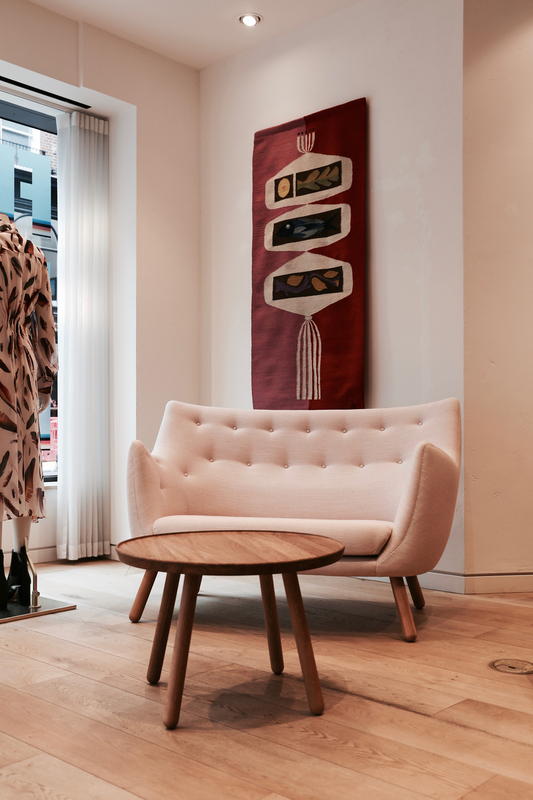 The exhibition featured a wide range of Finn Juhl designs, with special attention given to a number of exclusive collaboration pieces upholstered with Paul-Smith-designed Maharam fabric. 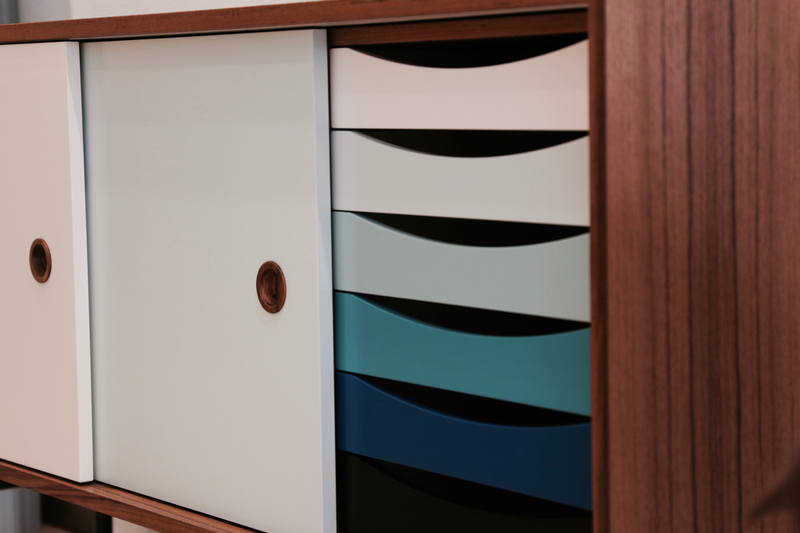 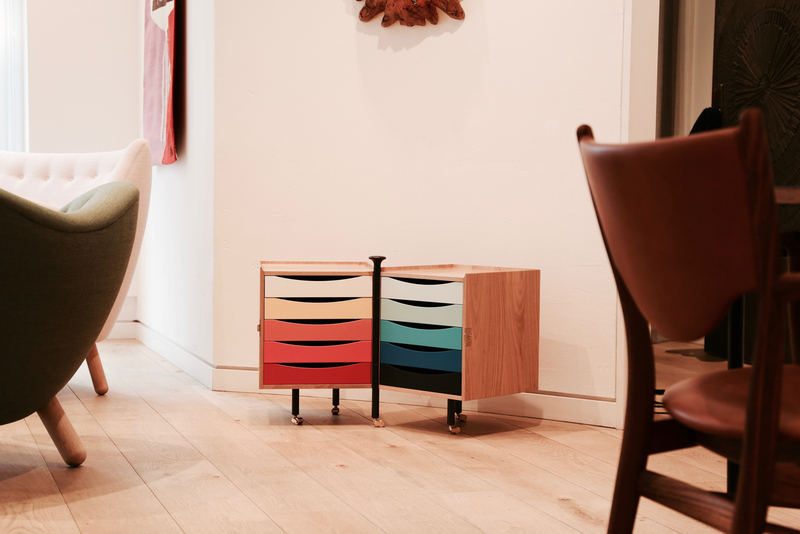 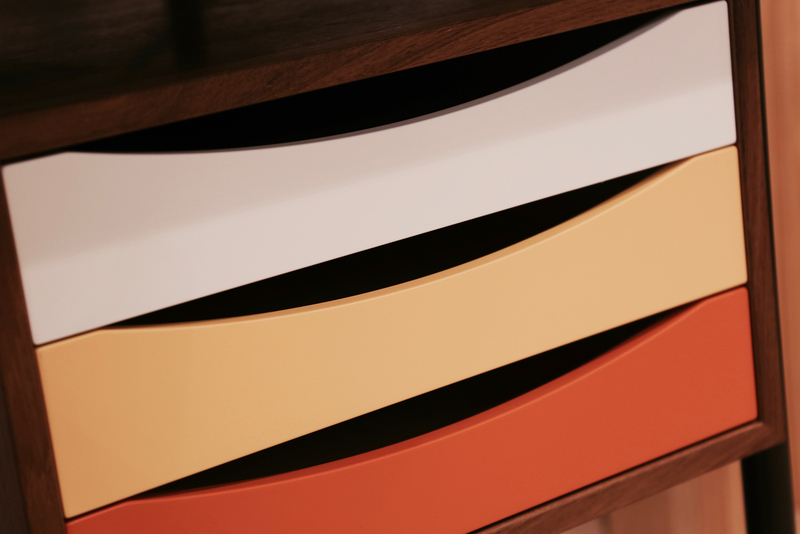 Within the wider exhibition, the FJ Sideboard and Glove Cabinet featured a collection of colourful trays, which could easily be mistaken for a signature Paul Smith stripe. 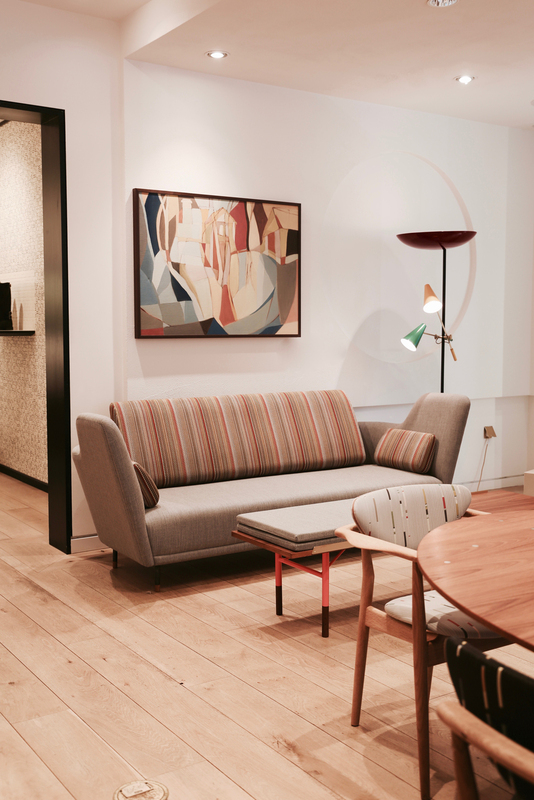 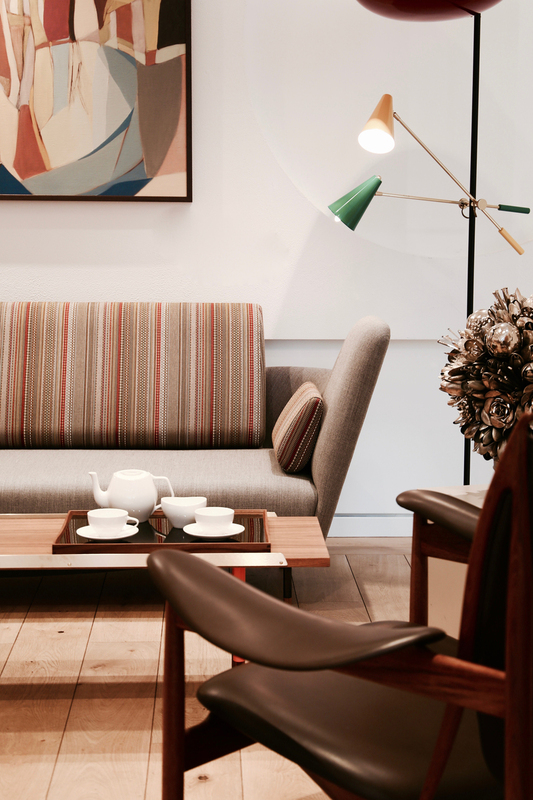 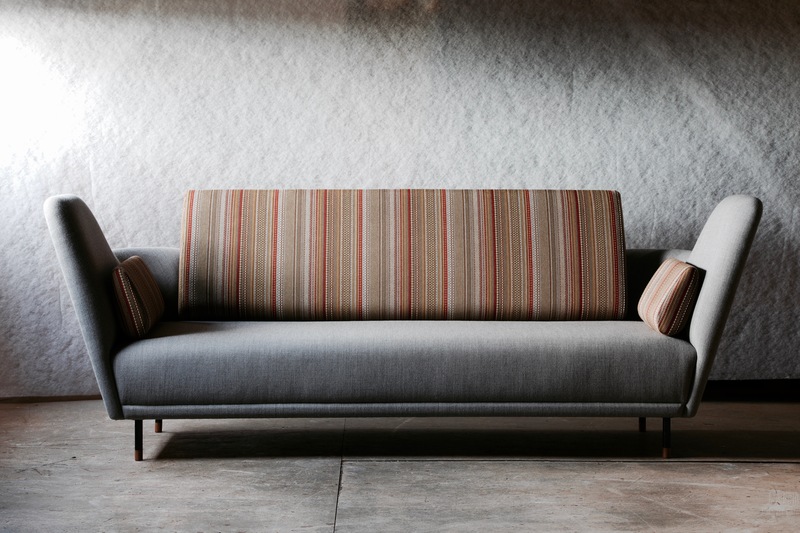 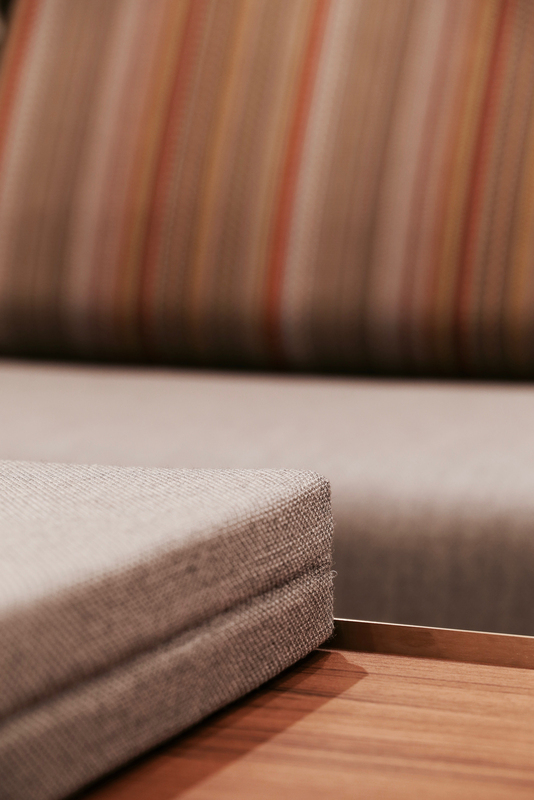 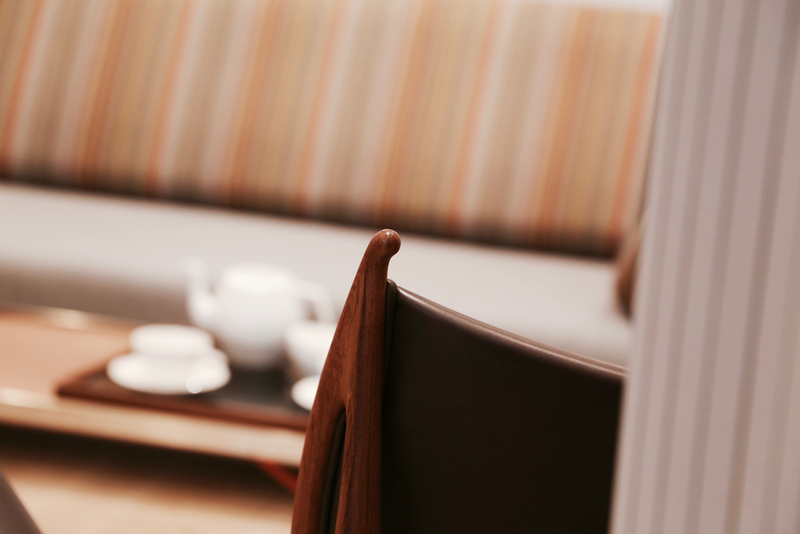 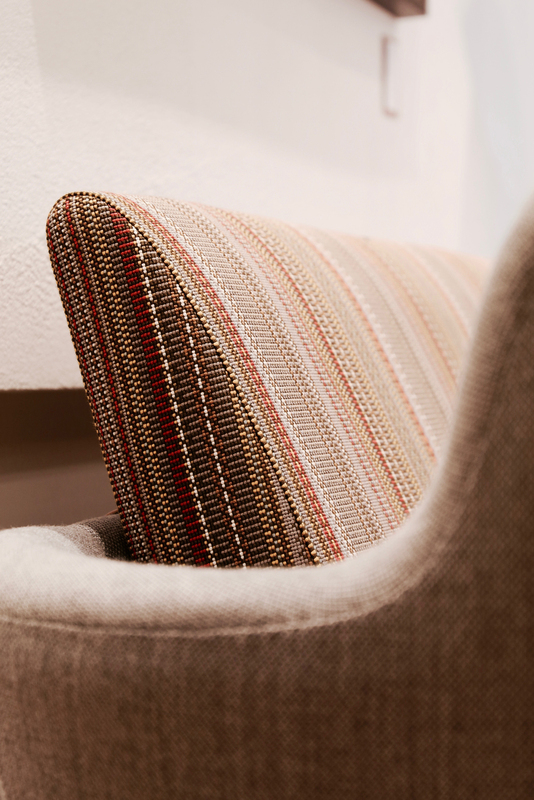 The elegant Finn Juhl 108 and 109 Chair had been given a new lease of life thanks to Paul Smith Maharam ‘Segmented Stripe’ fabric, while the dramatic 57 Sofa features combinations of coloured wool and Paul Smith Maharam ‘Point’ material. 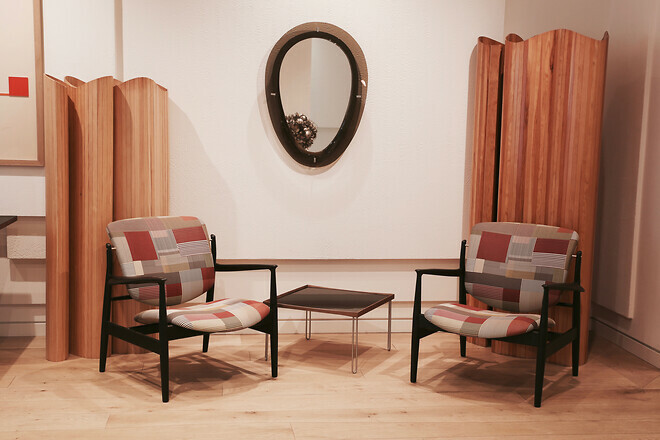 Finally, two Finn Juhl France Chairs were upholstered in Paul Smith Maharam ‘Assembled Check’ fabric. 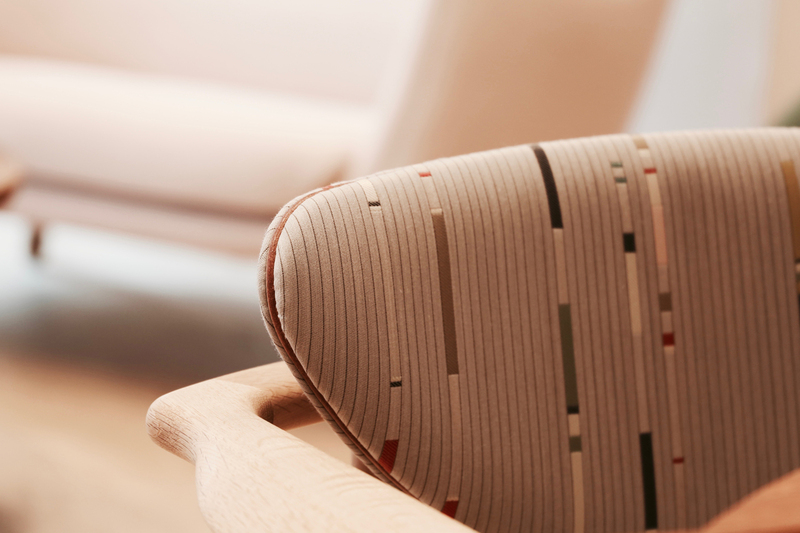 - With his background in architecture he knew how to solve a problem with design and always did it with such amazing lines and such elegant simplicity.